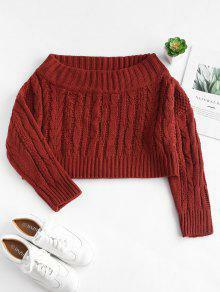 Completely revamps your sweater style with this cable-knit version designed with an off-the-shoulder collarline. 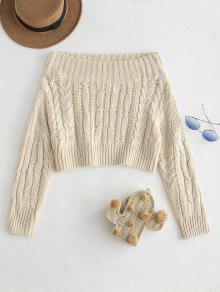 It also features a cable and rib mixed knit construction and a cropped length. 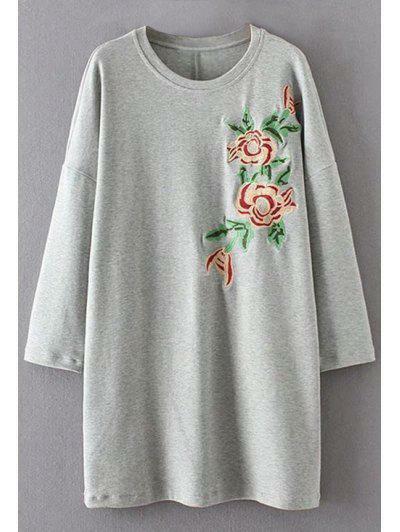 Very cozy and cute! The material is a nice knit. I love it! I must say, I was very surprised by this sweater! I bought it simply because it was cute and worth the risk to me lol. One size fits all? Not very reassuring. But it fit perfectly!! 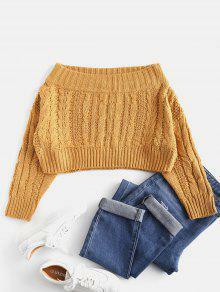 I love cable knit sweaters, and this looks super cute with high waisted jeans (American Eagle high waisted jeans in the pic). It’s pretty snug when I wear it off both of my shoulders, but bearable. I think it’s cute just draping it off one shoulder though, and then it still fits loose. I’m 5’3 140lbs, 34B, usually a M in adult women shirts. And this fit me like a glove! 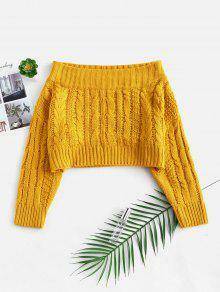 Very cute top! Really thick material and fits very nice!